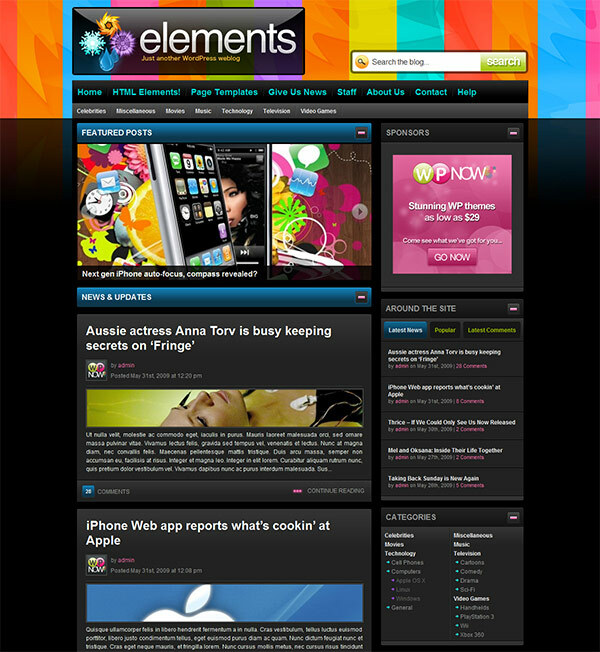 The Elements Theme for wordpress is a festive premium theme with a bright color scheme and magazine themed styling. Widget ready, featuring All In One SEO and much more. The theme is WP 3.0 Ready, Supports 3.0’s Custom Menus, has Intuitive Theme Options Panel, provides you with a Featured Content Slider and an Easy-to-Use Built-In Ad Locations. 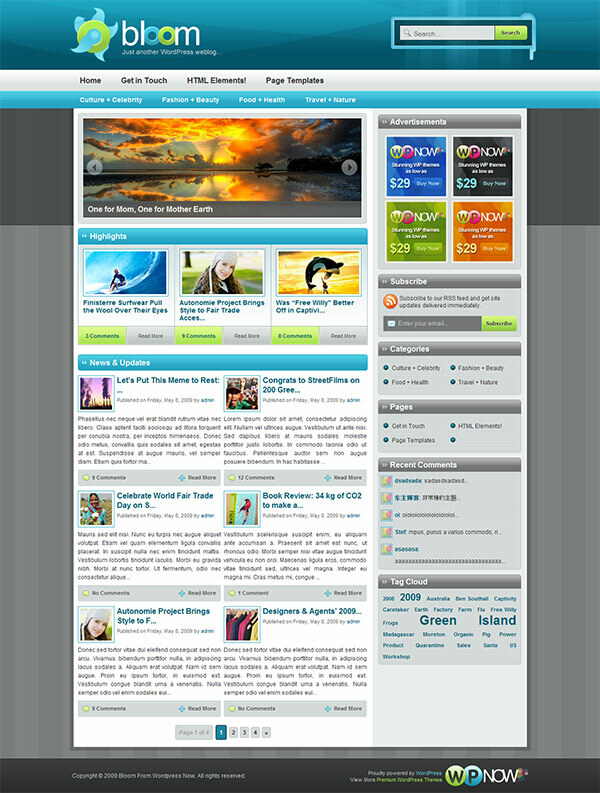 It is Adsense Ready, has a Unique Collapse/Expand Homepage Sections & Widgets, Menu & Submenu ‘Show’/’Don’t Show’ Customization, Multi-Level Dropdown Menus, “No Sidebars” Template, “Links & Bookmark” Template, “Sitemap” Template and offers Stylish Blockquotes & Nested Blockquotes.